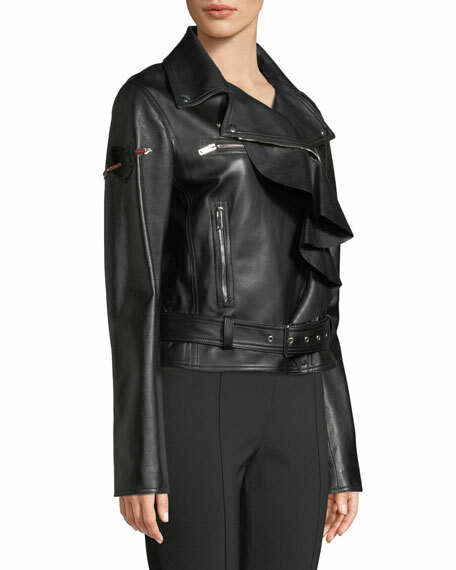 Valentino moto jacket in napa plonge leather with Love Story Heart patch on sleeves. 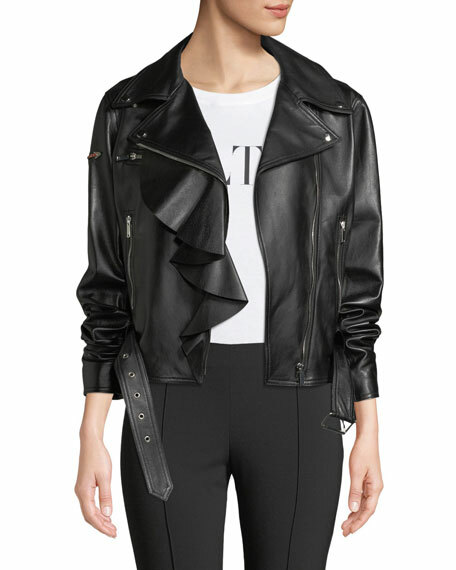 Coach light feminine jacket in lambskin leather. 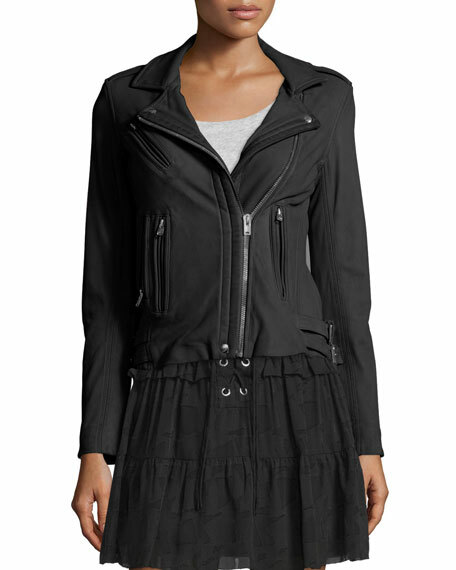 Crew neckline; concealed zip front. Long sleeves. Welt pockets with golden accents. Fitted silhouette. Hem hits at top of hips . Straight hem. 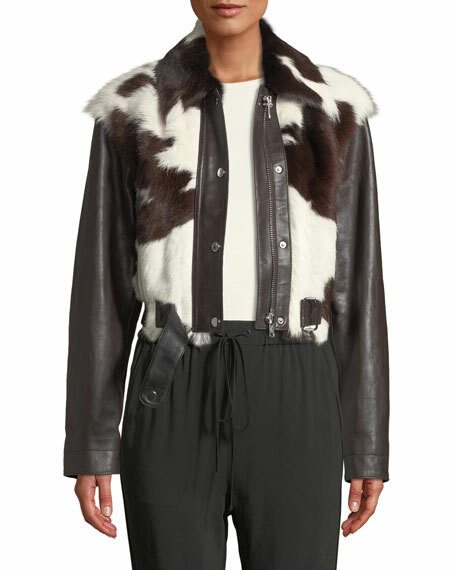 Lamb leather. Polyester, lining. Imported. 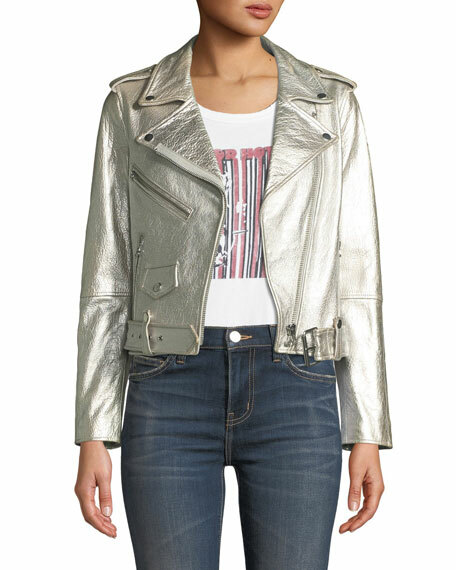 Current/Elliott "The Shaina" jacket in textured metallic lamb leather. Notched lapels; off-center front zip. Long sleeves; zipper cuffs. 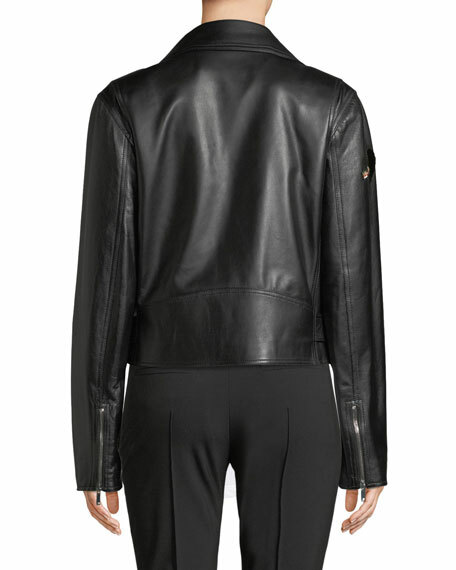 Side zip pockets; chest zip pocket. Flap pocket detail. Semi-fitted. Cropped length. Belted hem. Imported. 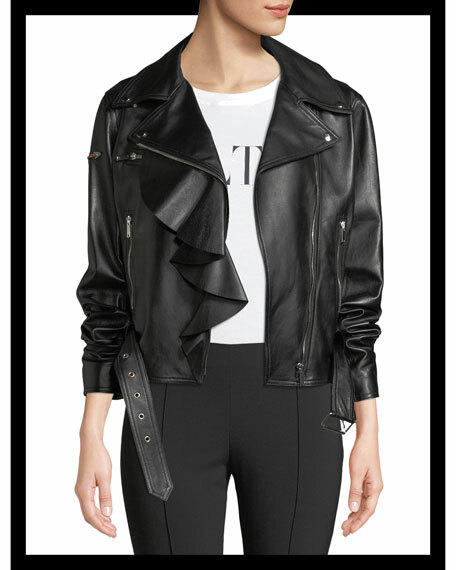 IRO "Han" leather moto jacket. 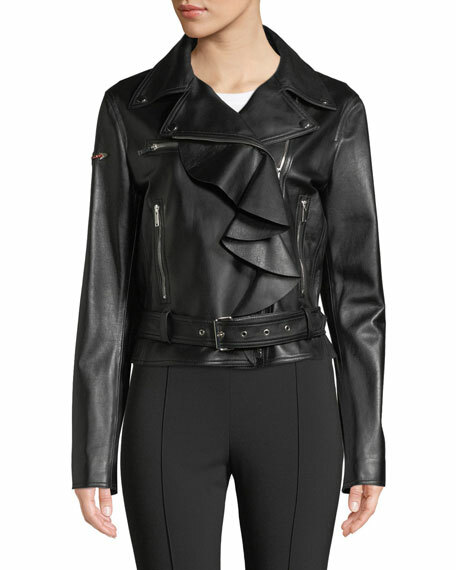 Notched snap collar; asymmetric zip front. Long sleeves with zip cuffs. Zip pockets at front. Double buckled sides. Fitted silhouette. Straight hem. Self lining, rayon; sleeve lining, polyester. Imported.